« AH Guest Writers : Calling All Writers ! Apocalypse How: Are You Excited About Collpase ! Are you Excited about Collapse ? When ” I ” talk about “Collapse” … I’m not talking about the collapse of society as a whole , or end times , or the end of the world , that is all more “Utter Nonsense ” at least for me . That’s not what I want … and suffering and hardship is not in resonance with my core vibration…in other words , it’s not the world I want to be part of Co Creating … I’m not into the doom and gloom paradigm , that many sites , media , movies and people seem to be in love with , there is nothing particularly productive about sitting around and talking about how bad things are gonna get, unless of course you are “trying ” to create a reality for yourself where things get really bad , then of course it’s very productive. And that’s fine , as long as your aware that you are creating it , at least take responsibility , own it ! When I talk of Collapse I am talking about something that is very positive , and yes very exciting ! And why might you ask is this so exciting … well because Collapse and signs of Collapse let me know that I am shifting , and as I shift to “versions” of reality , versions of earth , that are more in resonance with my highest joys and excitement , what I will see reflected back to me , what I will see in the mirror , of the world “out there” , will become more representative of what I believe , more representative of my new found definitions. Remember universe , reality , out there , is simply a MIRROR , it can only reflect back what you are putting out , it can only show you smiling if your smiling , you cannot walk up to the mirror and put your physical hands on it and try and make it smile, why , because It’s not “Real ” it is simply a reflection , the reflection of the mirror is the perfect way to illustrate , an easy to understand metaphor , of how creation works at the template level . So yes … any signs of Economic Collapse , Collapse of the highly corrupted Political systems , any systems that promote war and destruction ,greed and hatred, this is exciting to see, it means I heading in the right direction , as ” I ” shift to a more unified , expanded , love based , state of being , universe will reflect back a more unified loved based consensus reality , which means the fear based , polarizing energies will have no place , no space , no purpose , and they will collapse , because there is no source energy to support them , there is no consensual agreement in place for their existence , it’s simple physics . However it’s a process , and will take some time , as much “Time” as it needs to , however , the amount of time it takes is directly proportional to “my own personal ability ” to let go of all the old programming , we hold the key to our own private prison , we build the walls, we are both the prison guard and warden ! So now your probably asking , that all sounds great , but after the current systems that we have collapse , what will be there to replace them , so that we can go on about our lives, so that society can continue and prosper with better systems , systems that serve the whole , systems that are unifying instead of polarizing, systems based on integrity , systems that empower the individuals and the collective … and to that I answer with a resounding … ” Hell I don’t know ” … and that’s OK , I don’t need to know how or what systems will be implemented . The individuals who are passionate about finances , passionate about building true representative governing bodies , passionate about building a solid infrastructure, they will be the ones coming up with these ” New Systems ” , because that is their highest joy , their passion , not mine , so while I know generally the types of systems I would like to see manifested , the systems that I will be in support of ,the systems I will “Buy” into with my donation of source energy , I don’t have to know how they will come about , nor do I have to be involved “Consciously ” in the logistics of their creation , and implementation. I will simply stick to what I am passionate about , which of course is exploring the nature of reality , that will keep me busy for a very long “Time ” and it serves an important purpose as well , as it acts to expand what is known, and in this expansion all can benefit and move towards unity , more complexity , which of course inspires those that have their part to play in the creation of new collectives , new systems , and new way of ” Being Human”. Of Course in reality , the world around me will not really be changing , ” I will be changing ” , and I will simply be shifting to a version of earth , a version of reality where these individuals and their wonderful new ways of living and being ” ALREADY EXIST ” , and I will simply pop in look around , and say , wow look how the world has changed ! Apocalypse How: Financial Apocalypse Apocalypse How: Excitement Is a State of Being. 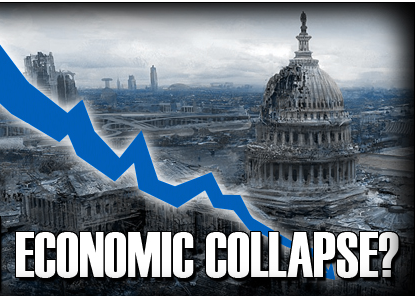 Economy: The Economic Collapse Program Living In The Moment: I Exist !